Baby back wrinkles, soft glowy cheeks and a full head of wispy blonde hair. Can you even with this perfection?!? Starting the week with this six-pound bundle of perfection! Elliot was the snuggliest baby and I couldn't get over how cute she was; I swear she would hear te shutter click and start smiling. 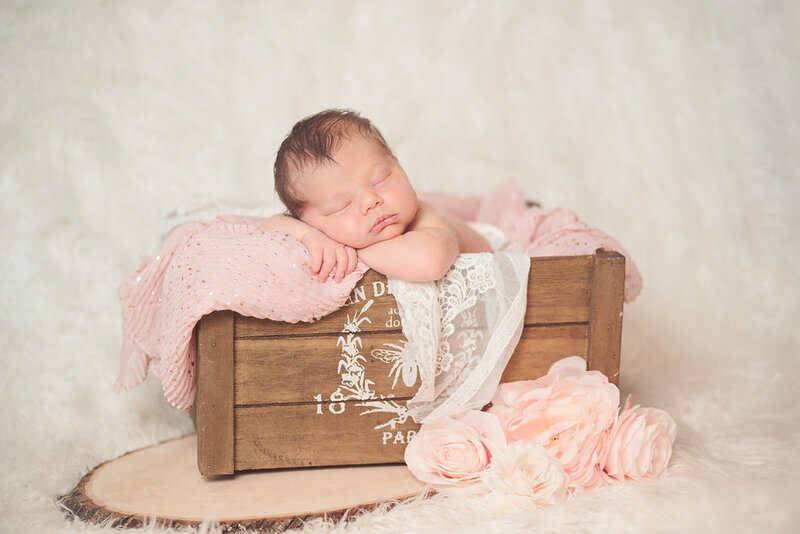 One of my favorite elements from this newborn session was putting together a little nest - add in some fresh blooms and we had the perfect newborn setting. || Note to self: bring a bouquet to every session. || I have more sweet sessions scheduled to be on the blogged over the next couple of days and I can't wait to share them all with you! We are halfway through the week. Halfway people! I got my workout done and a new bag of coffee beans so I'm feeling pretty optimistic about life in general. Oh and guess what, I'm having a baby! Well in about a month ;) and I am so excited to meet my baby girl! My good friend Elizabeth is due a few weeks ahead of me so I threw a baby shower. There is nothing better than good food and friends right? Plus, I will literally take any chance I get to have a party. Beto grabbed a few shots of the festivities so I could share this little festive moment of our life. Cheers!